A tortilla, also known as a Spanish omelette, is made with eggs and potato and is a traditional Spanish tapas dish. We have added some red onion and chorizo to make it a bit of a weekend treat. 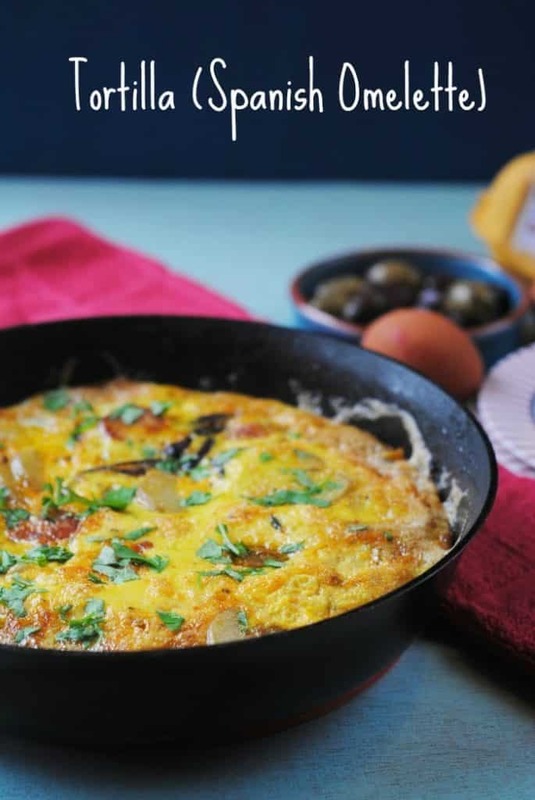 Most of us know tortilla as a wrap or what is used to make nachos, but in Spain it is an omelette that is usually served as part of tapas, or sandwiched in between two thick slices of bread. It tastes just as good cold, so make sure you make enough to have leftovers and keep it in your fridge for a protein filled post workout snack. This is definitely a bit of a treat, with the chorizo, so treat yourself this weekend and make some for brunch. Hands up who feels like they spend all of their wages within the first week of being paid and then spends the next 3 weeks raiding the cupboards? Well, with Dave and I both being self-employed now and being sucked in to buying every possible thing a newborn baby could need (27 hats already, and counting), working out a new budget for our little growing family is a learning curve. Because of that, we are trying to be really careful with our food budget, which is the area that we easily over spend, and are making the most of lots of delicious budget friendly meals. You will be seeing lots of budget friendly meals over the next year, and there will be a whole section dedicated to them. But not just budget friendly meals, but balanced and delicious budget friendly meals – what could be better than that? 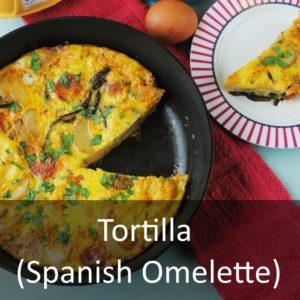 This tortilla is a really budget friendly recipe, as the main ingredients are potatoes and eggs, which are fairly cheap to buy (when compared to other healthy ingredients) and you can fill it out with whatever leftover vegetables you have. 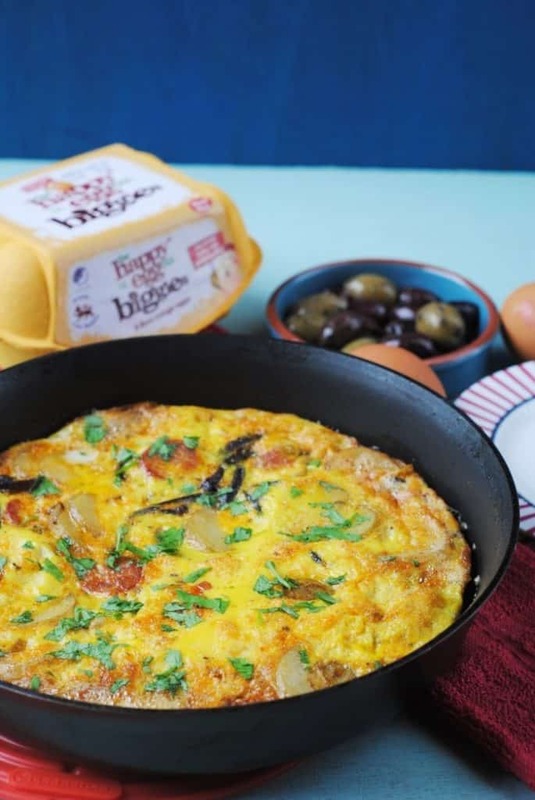 When funds are running low, we always turn to eggs to make meals, as they are cheap and filling, even when buying good quality eggs – which is really important we think and we always choose British Lion Eggs. The British Lion is the UK’s most successful food safety mark and more than 90% of UK eggs are produced within the Lion scheme. Since the Lion mark’s launch in November 1998, more 130 billion Lion eggs have been sold, more than £100 million has been invested by the UK egg industry in the British Lion scheme, more than 2 million Lion eggs have been tested and more than 50,000 audits have been carried out. A 2016 report showed that there has been a major reduction in the microbiological risk from Salmonella in UK hen shell eggs – this is especially true for those eggs produced under the Lion Code. 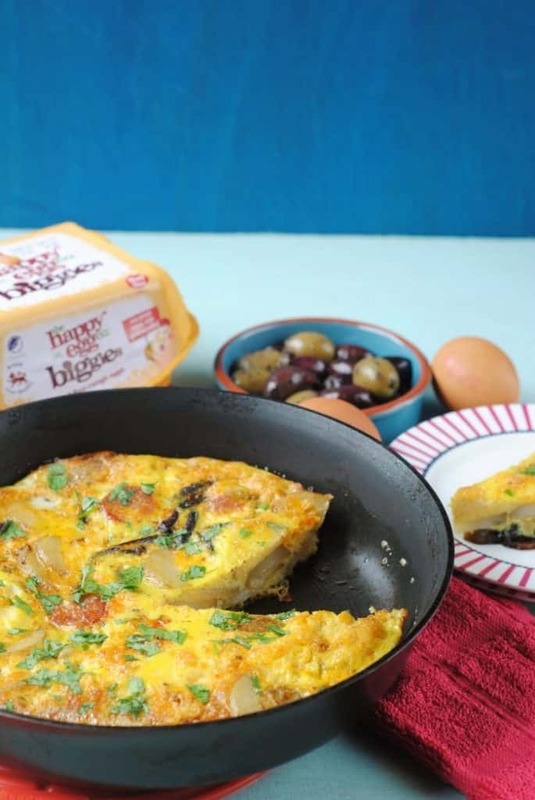 British Lion have put together a fantastic selection of healthy egg recipes too, a they are keen to show eggs as a healthy ingredient, which I am totally on board with. They have some great quick and fun recipe videos too, and I have included the video for this one below, so you can cook along with it. 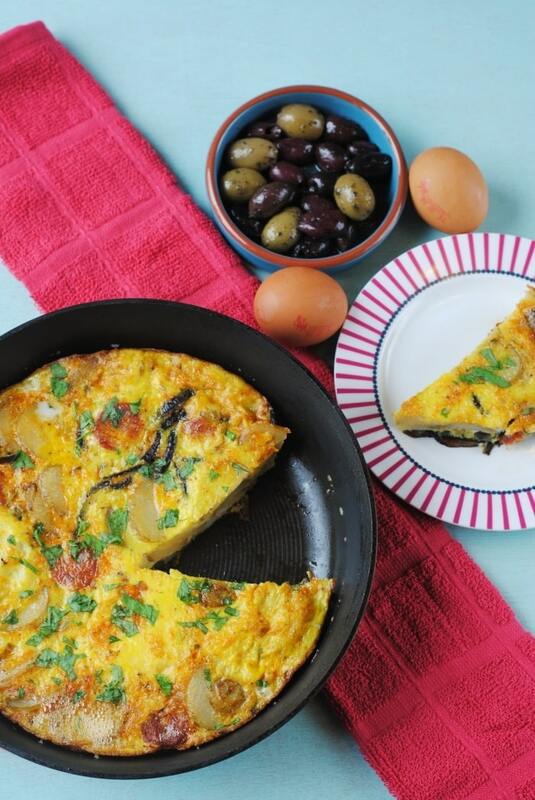 The first reference to a Spanish tortilla was in 1817, as it was referred to as a dish that women could make to use eggs sparingly, as they could bulk them out with other ingredients. 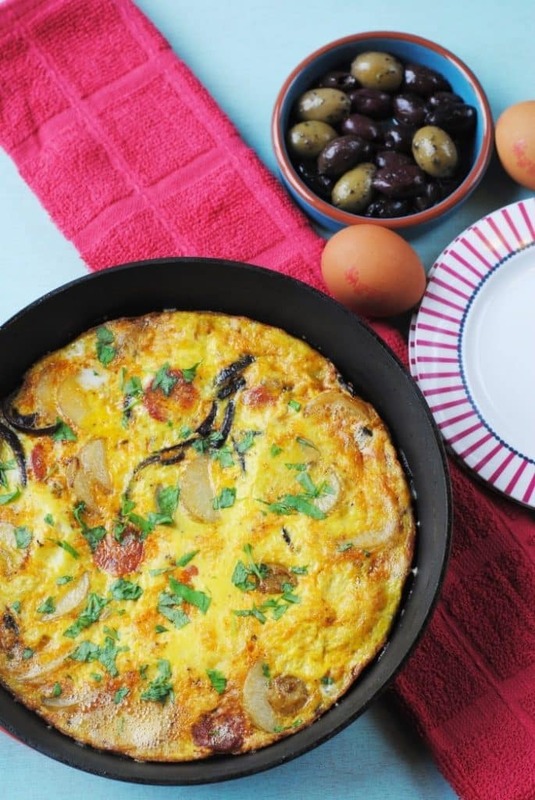 Recipes for this dish can range from the truly authentic with just eggs, onion and potato, to adding green peppers, chorizo, courgettes, mushrooms, ham, peas, or anything else you want to throw in. We added some chorizo, as a little bit really does go a long way and it makes a nice weekend treat. A tortilla, also known as a Spanish omelette, is made with eggs and potato and is a traditional Spanish tapas dish. Heat the oil in a frying pan and add the onion; fry for 2 minutes. Add potato and chorizo and fry for 3 minutes or until golden. Beat the eggs with salt and freshly ground black pepper. Pour the eggs into the pan and cook without stirring until most of the egg has set - about 6 minutes. Put the pan under a hot grill for 2 minutes until the top is set and golden. Turn out onto a plate or board then cut into wedges and serve warm or cold. You can find me on Facebook at Hungry Healthy Happy, on Instagram at @hungryhealthyhappy, on Twitter at @HHH_Dannii or on Pinterest at hhhdannii or you can subscribe via email. 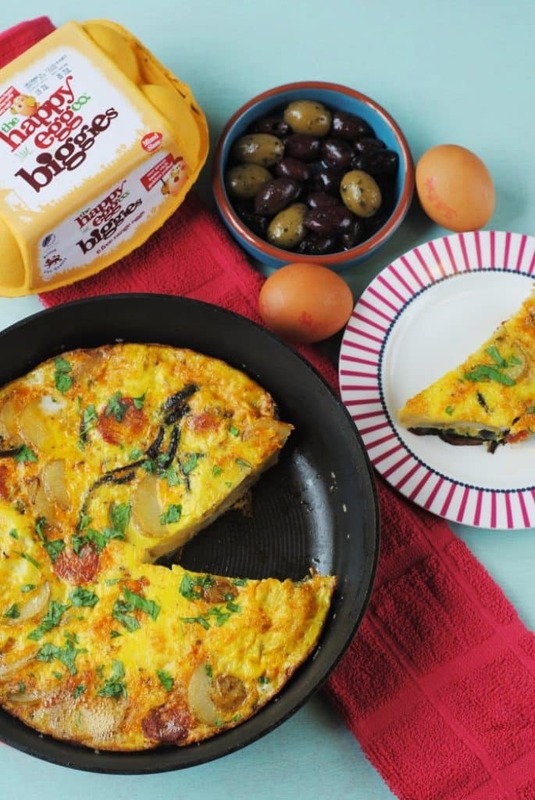 you can never go wrong with a Spanish omelette. Mmm this tortilla looks delicious! Love tortilla left overs 🙂 I spend way too much on food! I rarely spend my money on anything but food haha! Your tortilla looks much more appetising and delicious than the ones I saw in Spain (and declined to eat). Thanks for sharing your recipe. I did tortilla few weeks ago for the blog, so I know how awesome it is. Eggs + potatoes = awesomeness. I made a classic version without chorizo, but yours sounds even better!